It seems to be an inherently human characteristic to desire that which we do not have. Acquisition of a new species is one of the most exciting parts of this hobby. Every hobbyist has his or her own wish list, some of which are easily obtainable, others far more elusive. How these wish lists are filled can speak volumes about the integrity of the hobby and the individual hobbyists. The desire for new and rare species has directly fueled the exploitation of these frogs in the wild through a destructive practice known as smuggling. With many amphibian species disappearing worldwide due to disease, global climate change, and deforestation, many conservation efforts have been spawned lately to investigate and combat such threats. However, poison frogs face a threat that has largely been overlooked – illegal smuggling for the pet trade. The last several years have witnessed recent waves of large volumes of smuggled frogs appearing at frog shows or expos, particularly in Europe, however N. America is far from innocent. Some species of particular note are Dendrobates mysteriosus, D. granuliferus, D. fantasticus, D. imitator, D. vanzolinii, many forms of D. lamasi (most recently the orange/red form), and D. lehmanni. The list is extensive, and continues to grow. Smugglers exploit the often under-funded governing bodies and enforcement agencies in the countries in which these frogs are native. In Peru, smugglers either carry the frogs out of the country personally, usually several hundred at a time, hidden amongst luggage, or export the frogs illegally, hidden within shipments of tropical fish leaving through Iquitos or Lima. Many times large quantities of frogs are harvested from often very restricted populations, in most cases severely damaging these populations. Furthermore, impoverished Peruvian farmers are often paid ridiculously low sums of money ($1-2) to collect every poison frog they can find. Not only is this damaging to the frog populations, it instills in these farmers the idea that the forest and its inhabitants are just another resource to be carelessly exploited rather than conserved or managed sustainably. These frogs, whether concealed in luggage or hidden with fish, are horribly and inhumanely packed, often resulting in the death of 100% of these illegal shipments. 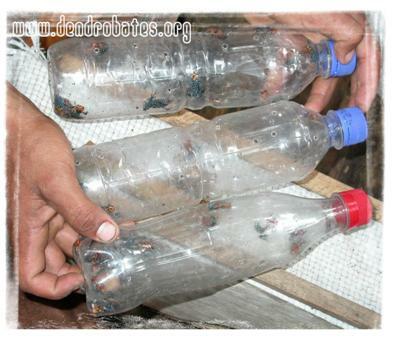 Seizure of illegal frogs in Iquitos revealed several film canisters packed with D. lamasi, often literally packed solid with frogs. The frogs face death as a result of the deplorable shipping conditions, or as the result of injuries received during the stress of such conditions, or from bacterial, fungal or viral infections which take over a weakened, stressed immune system. For every smuggled frog that arrives alive, there are many, many more that die. Customs officials have quoted mortality to be as high as 90%. Similar numbers have been observed within Peruvian seizures; sadly, one must be reminded that many more died before they could even be packed for transport. Two months ago a new variant of D. imitator arrived Europe, recently we had the opportunity to return the area the frogs were from and see the impact. The site was dismal. 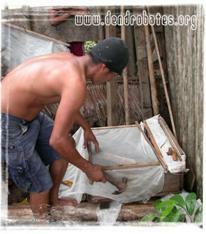 Because the smugglers created a market for these frogs, half a dozen campensinos (farmers) had begun collecting the frogs and placing them in small enclosures. The mortality of the frogs waiting for export had to be considerably high as all the frogs we observed were severely starved and seemed to be barely alive. 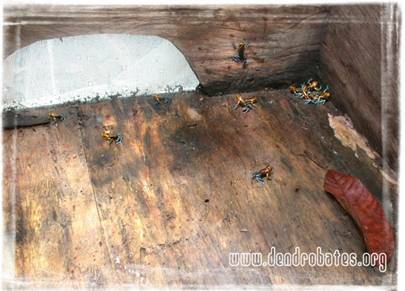 Further, a considerable amount of frogs which didn’t starve to death could have easily died of desiccation, excessive heat, predation, or disease, as many of the cages were so poorly built frogs could easily escape. However, if they were able to escape they were now miles away from suitable forests and surely died. Since the smugglers are stealing these frogs, to them, these losses are acceptable and they simply remove more from the wild. They will try again and again when mortality is high. To the campensinos, most of these frogs can be collected while they work in the forests, so the small chance that they live to be exported is still worth the effort. Smuggling has unfortunately become a highly lucrative venture benefiting only the smugglers themselves, as the short term income to the farmer hardly ameliorates their poverty. Those who knowingly purchase illegal frogs are every bit as guilty as the smugglers themselves and by doing so are directly encouraging this trend to continue. There is no justification for these practices. No one wins, not the frogs, not conservation, not the hobby, and certainly not the local communities. Supporting these smugglers is directly supporting the extirpation of these frogs from the wild, and making it much more difficult for the sustainable projects to succeed. No one can deny the clandestine origins of many of the now common frogs in the hobby, whose origins were smuggled animals. However, our hobby does not have to continue this way. Never in the history of the poison frog hobby have greater opportunities been available to the hobbyist to purchase a wide variety of sustainably produced frogs , which come with the additional benefit that portions of proceeds go to protect the very habitat these frogs come from. 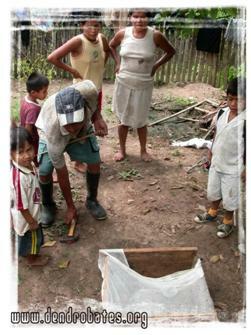 In many cases, supporting these projects aids the economies of impoverished local communities by providing them a sustainable source of income and employment opportunities derived from the forest, rather than from unsustainable exploitation. Smuggling directly undercuts these programs. Projects such as INIBICO and Zoocriadero Exotics Frogs (UE) will not thrive if the market for these frogs is constantly filled by smuggled animals. These projects have significant overheads, operating costs, and support several employees. They will simply cease to function if they cannot make the sales they need, and disappearing with these projects would be the conservation potential these frogs have to offer. Unfortunately, many hobbyists choose to ignore the possibility that frogs they are purchasing may be smuggled, or simply take on an apathetic “don’t ask, don’t tell” mentality, naively assuming that the frogs they are purchasing are of legal origin. We urge hobbyists to ask questions when buying any frog newly arriving on the market. It is a simple matter of asking the seller questions: Where are these frogs from? How were these frogs obtained? If they are captive bred, how were the parents obtained? Could you provide CITES documentation? Any legal seller should have quick answers to these questions and will be able to provide documentation for the frogs they are selling. I live in Peru. 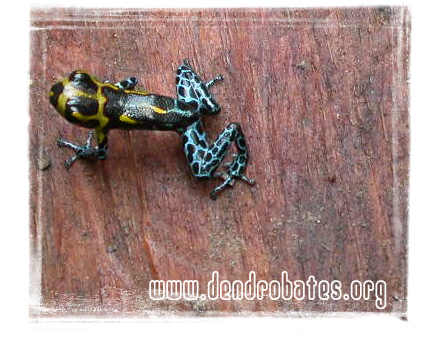 Where can I find legal farming of dendrobates. I simply want to try to create a natural environment to encourage breeding. I also need to find someone that has legal specie of Bromiliads.